Notes: The Griffth's Gnat usually is used to imitate clusters of midge emergers or mating chironomids. 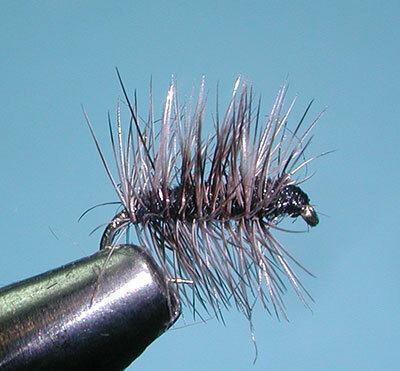 The origin of the pattern is often attributed to George Griffiths, one of the founders of Trout Unlimited. However, according to a close personal friend of George Griffith, Mr Bob Summers, this is not so. Bob says, "George did not invent the fly, he told me that more than once." The fly was shown to George in 1939 by a man named Walt Shaw. It became George's favorite pattern, hence the name. No one knows exactly who created the fly. 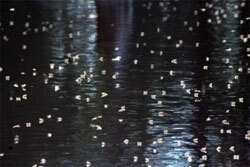 It can be fished as either a dry fly (mating chironomids) or subsurface as a cluster of midge larvae. A small amount of split may be necessary to get it down. 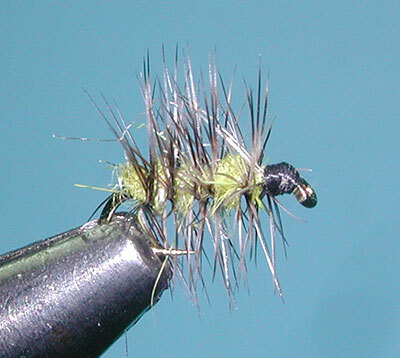 Also use this fly in tandem with nymph patterns , using the Griffith's as an indicator with some floatant. 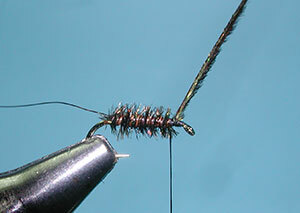 The original pattern uses peacock herl for the body. However, many variations exist which use either thread or dubbing in colors of gray, olive, black , or tan.